I never thought that my generation would live through social changes the magnitude of the civil rights movement of the 60s or the protest over the Vietnam war. 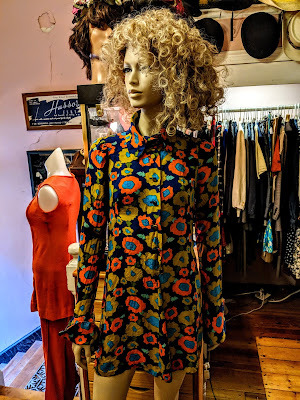 I'm a Mod who grew and florished during the Revival. I'm from the Generation X. Huge cultural shifts was not our thing. I remember when I was in high school, I wrote a poem for the local neighborhood newspaper advocating against the death penalty. The last time we executed someone in Canada was in 1962. What did I know? I guess I wrote the poem for you America. One of the reasons that got me into Mod Culture was its stance against racism and its openess to other cultures. That's you America! Well, at least it was until recently. The Ivy League look, the penny loafer, the botton down shirt, Jazz, RnB, Soul, the M-51 parka, is all thanks to you. What would a Mod be without any of those iconic contributions? What is happening to you America? As your neighbour to the North, I don't recognize you anymore. My parents have a home in Florida. You're part of the family! I feel like we are at a crossroad right now. I admire you too much simply to stay silent. This moment is a turning point for women, survivors of sexual assault, the dissavowed and minorities. There's an assault on simple decency and the truth. I implore you America. Don’t be on the wrong side of history. I was never part of any big marches, I can't recall protesting loudly against any significant cause. But now I feel I should. 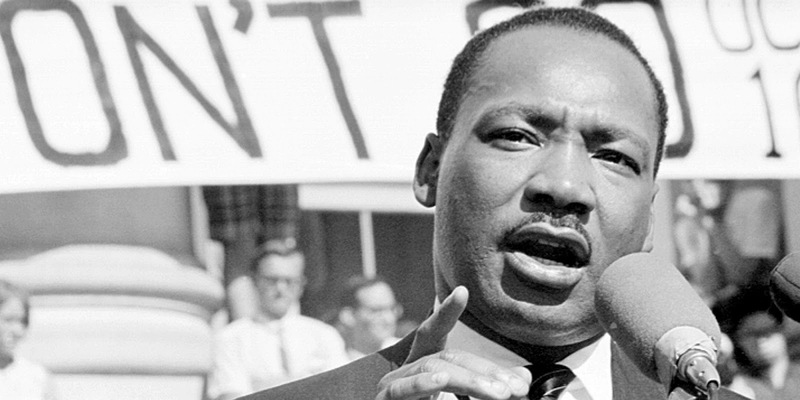 Did you know that in 1966, twice as many Americans had an unfavourable opinion of Martin Luther King Jr as a favourable one? He was seen as a pariah and a disruptor by many. Virginia congressman William Tuck blamed King for his own murder, telling the House of Representatives that King “fomented discord and strife between the races … He who sows the seed of sin shall reap and harvest a whirlwind of evil.” A few months after the March on Washington, 59% of northern white Americans and 78% of southern white Americans disapproved “of actions Negroes have taken to obtain civil rights”. Witnessing the constant attacks on the free press, immigrants, women, Blacks, the LGBTQ community, Jews, Muslims, Latinos, the poor, I strugle to believe that society has evolved much since 1966. I love my neighbours to the South. 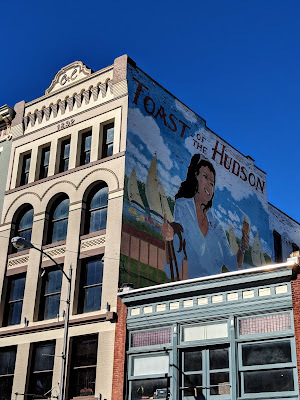 A few weeks ago, I visited you again and I found proof that the vast majority of your citizens are decent, welcoming, warm, open-minded people. 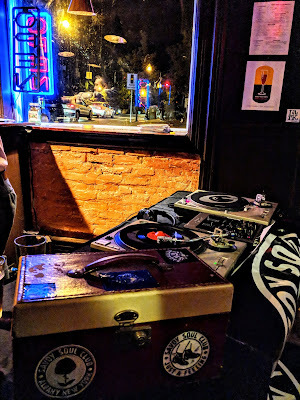 I spent four days celebrating African-American culture by spinning, sharing, searching, digging for Soul records across 3 States plus the District of Colombia. I didn't let the news of the day dampen my spirit because I was contiously surrounded by wonderful people. 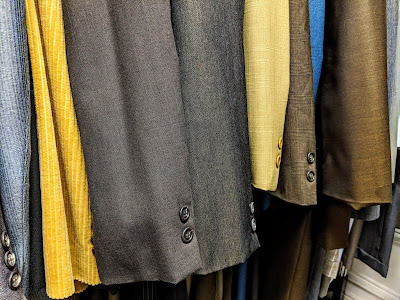 I have to thank Christine, the warm owner of Twilight Vintage Clothing in Troy, NY who opened her shop early, just for me. She’s the reason I looked sharp on Saturday night in DC. We definitely crossed the line from the boutique owner / client relationship right into the friendship zone. A very rare piece of London based Biba wear. 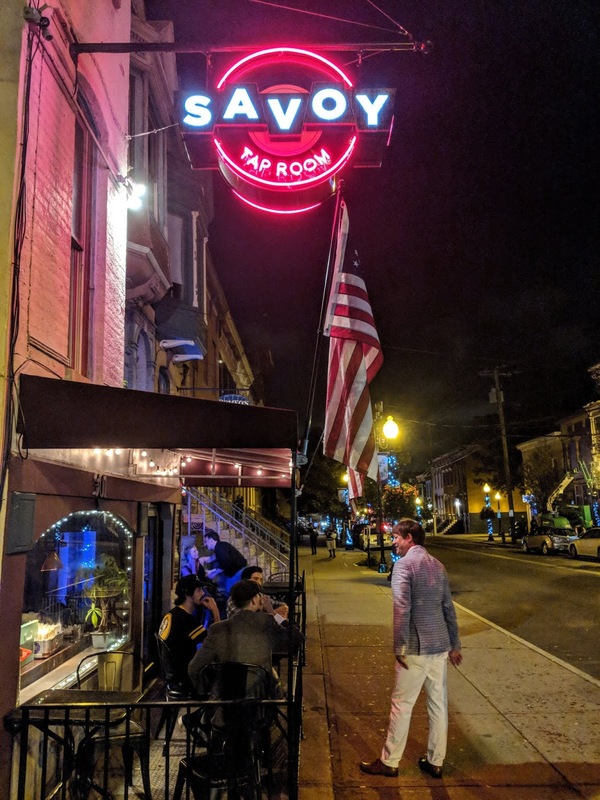 When I think of you America, I am reminded of those hip black dancers getting down while I was spinning at the Savoy Soul Club in Albany, New York. I still have warm feelings of that moment I shared with that proud, joyful black matriarch that is the backbone of the best Soul Food restaurant in Baltimore, Ida B's Table. We actually said that we loved each other right before we left. 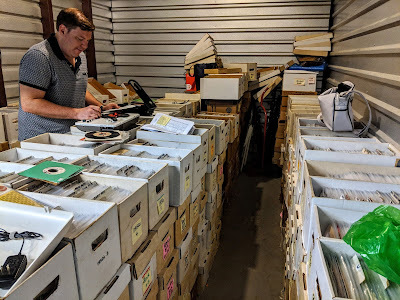 The few hours I spent in a secret storage locker making deals with Gary, one of the nicest record dealers I’ve met in a long time. I almost pissed in my pants after he dropped a few Yiddish bombs on us. I will never forget that Lesbian couple making out to my records right in front of the turntables at Save Your Soul in Baltimore, a party filled with 300 people, held in the basement of a Lithuanian private club. Rob Macy in his element. I have a smile when I think of that slightly intoxicated “fifty something” woman who came up to the DJ booth in Washington, DC to tell me that I reminded her of her favorite Beatle, Paul. Or Tariq, the barman of the Showtime Bar that is a close image of a young Eddie Murphy and has a cool factor of a 1000. 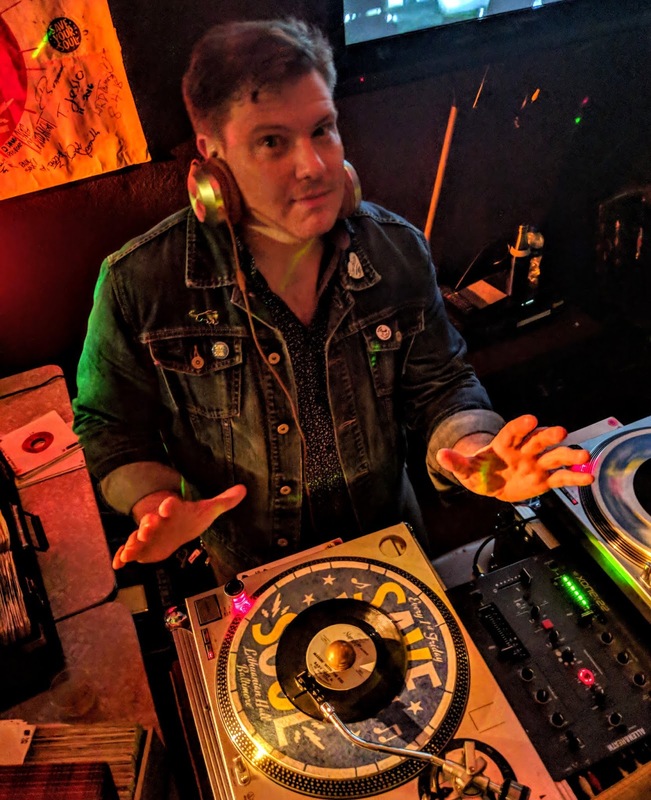 Speaking of being cool as a cucumber, I got to hang with 2 of the most talented female Soul / Garage DJs on the East Coast. I raise my headphones to you my sisters! Here’s to you Baby Alcatraz and Sally Round. I met the nicest people from a myriad of different cultures, age, religion, sexual orientation, men and women. We all got along and I felt welcomed everywhere. 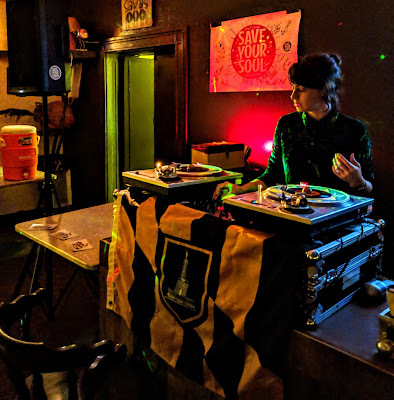 DJ Baby Alcatraz doing her thing. After spending quality time with my close friends Rob, Cailin, Robert, Sommer, Jonathan, Sun, Alyssa, Edward and Rachel, I realized that the US is in good hands. So go and have a long walk on that hill America, I’ll let you have a second go at it. In part I, I tackled the instrumental side of my food suite. You can read all about the top 30 here. There are so many 45s that are food related that I had no choice but to come up with part II, dedicated to the hungry singers. It's pretty evident that Soul food and Soul music are closely tied. It's all part of African-American culture. It was very clear in the previous list and you can see it again here. Who can blame them? It's so good! 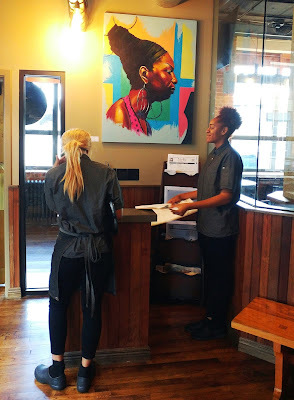 I recently went to a brand new Soul food joint in Baltimore appropriately named Ida B's Table. I was invited to guest DJ at the monthly Save Your Soul night by my friend Rob Macy and the next morning he brought me there for brunch. 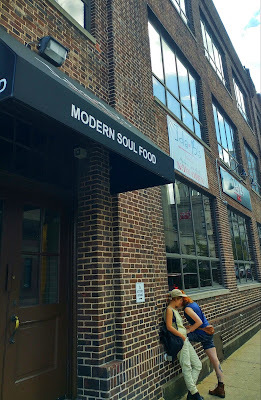 The close relationship between the food and the music was all over the walls. 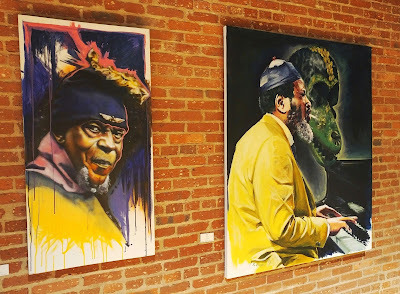 Stunning paintings of Nina Simone and Thelonious Monk were some of my favorites. And the food? The perfect antidote for a previous night of drinking and dancing. Boy, did it hit the spot! It was exactly what I needed to fuel up before spending a few hours record digging and getting great deals from my buddy Steve at Protean Books & Records. A little section of this list is also dedicated to some outstanding French Yé-Yé seven inches. They were simply too good to ignore. Many of them are straight from my hometown of Montreal. I'm compelled to honour them but you'll soon understand why. A couple of raw Garage tracks wiggled their way on the list too. Just like food, there's something for every palate. 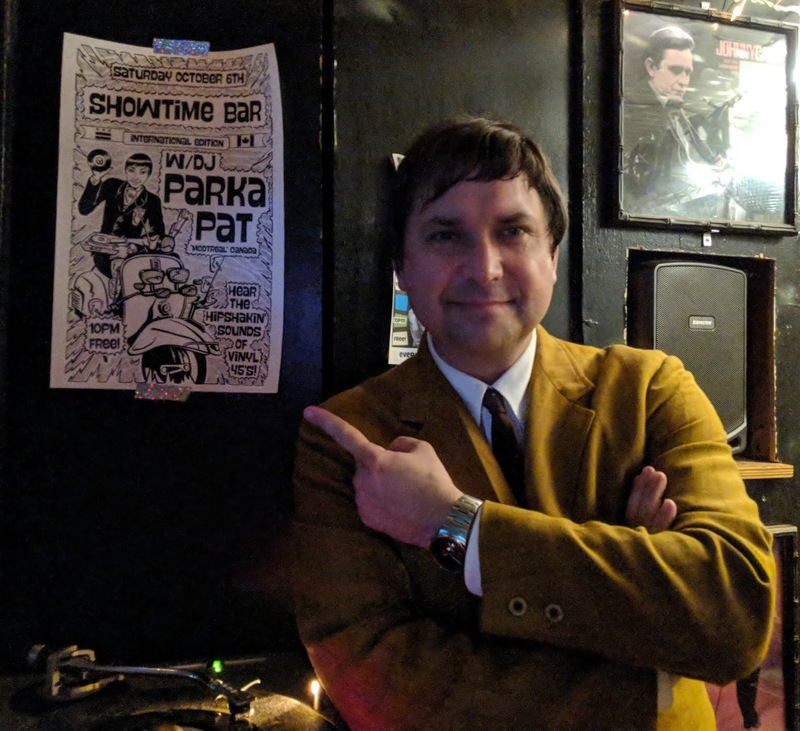 While reading this post, shimmy over to the Parka Avenue Podcast Mixcloud page and you'll be able to hear every track in order. 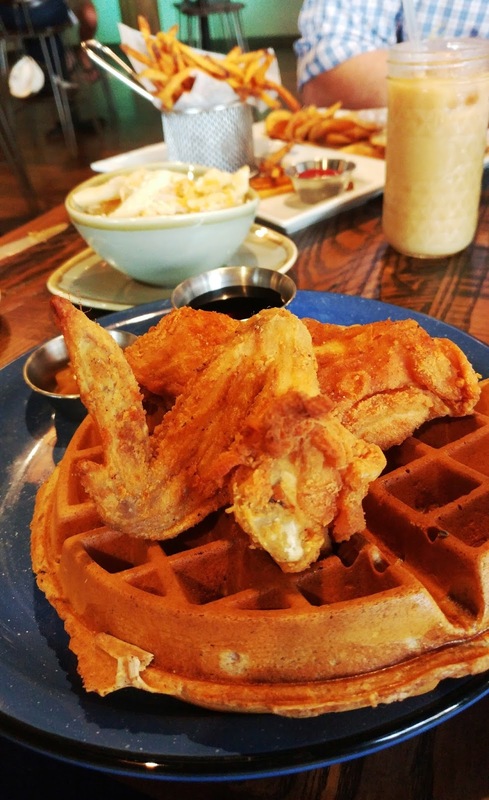 Maybe you should also consider having snacks on hand because this post will cause your feet to move and your stomach to growl. If you weren't familiar with Soul food before, this song will certainly enlighten you. Although I consider Rex Garvin Northern Soul royalty, I'm not sure I understand his food preferences here. Come on Rex! With all that Sock It 'Em J.B. money you would rather have neck bones instead of filet mignon? I don't get you man! 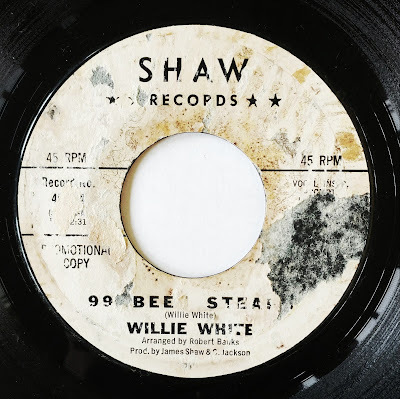 This is one of my all-time favorite Stax records. 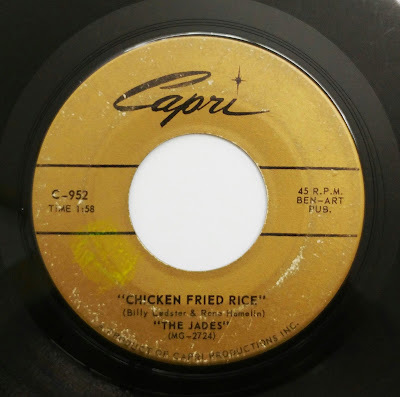 It's right up there with Green Onions, Soul Man and Soul Finger. Alright, maybe there's a lot of great Stax singles at the top of my list but this one is certainly the most underrated. 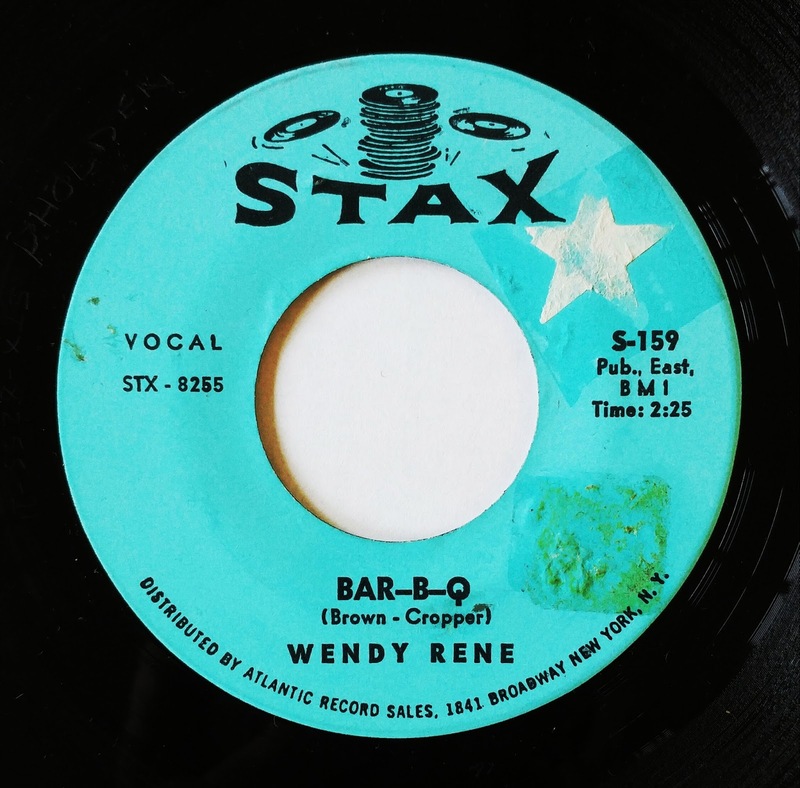 Recorded in 1964, Bar-B-Q was the fourth of only 5 singles Wendy Rene released for Stax. Born Mary Frierson, she was given her stage name by none other than Soul legend Otis Redding. 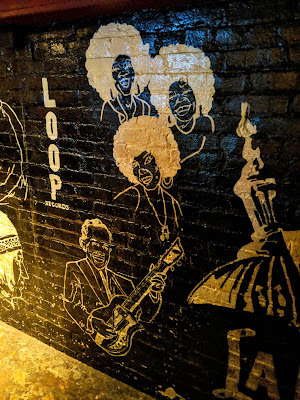 In December 1967, she was supposed to join Otis and the members of the Bar-Kays for a concert but backed out at the last minute to take care of her newly born child. The plane she was supposed to be on tragically crashed in a frozen Wisconssin lake, taking the lives of Redding and 6 others, leaving only one survivor. What would be a Bar-B-Q without hot dogs, right? 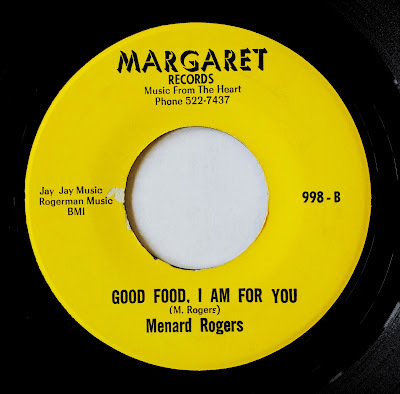 Technically, this track isn't really about food. But it's simply too darn good to exclude on a formality. "Hot Dog" is used more as an expression like "dang". Produced by the great Jerry Butler, this monster track was realeased in 1966 and is the only single from The Four Shells. 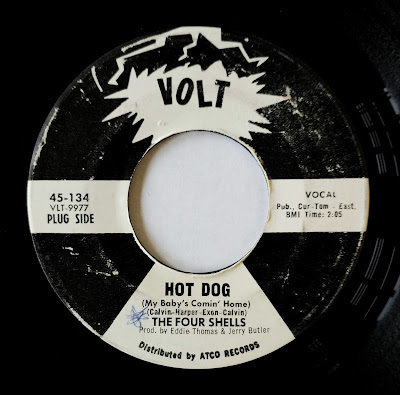 Hot Dog seems to be credited as the b-side. 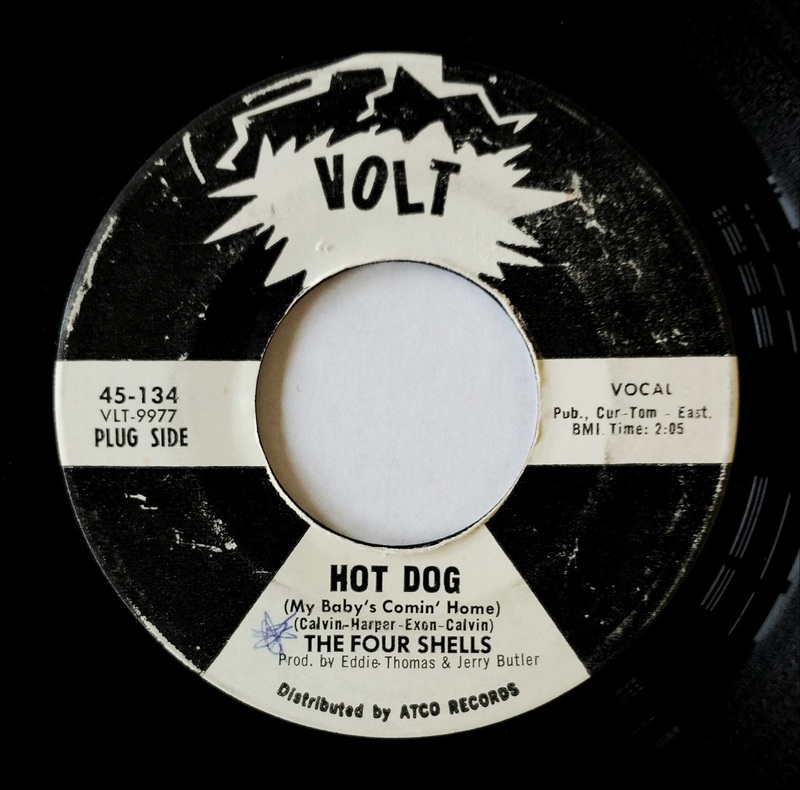 It's a shame the band never recorded anything else because just like hot dogs, you usually want more than one. 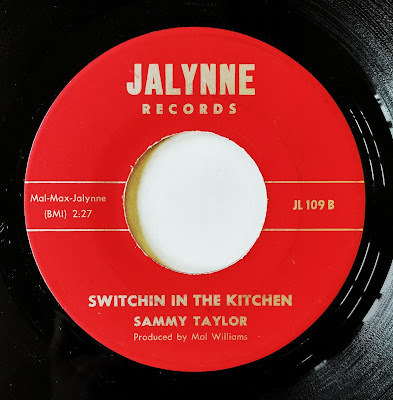 There's not much that can be said about this record aside from the fact that this RnB screamer will ignite the dance floor the same way a tablespoon of your favorite hot sauce will set your mouth on fire. Only 2 titles came out on the Derry label and this one is clearly the better of the two. 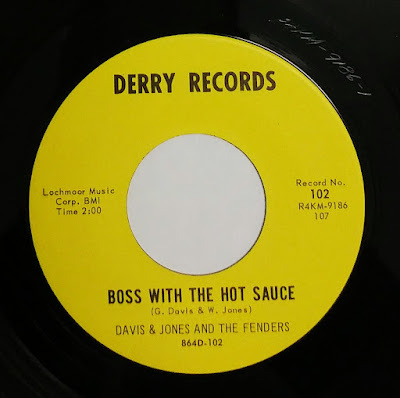 This seems the be the only release from Davis & Jones And the Fenders and I wish there were more. This very rare piece of Quebec Soul hails from the small copper and gold mining town of Rouyn in the northern part of the Canadian province. Technically, I guess we could call it true Northern Soul. You want to talk about an obscure piece of vinyl? It doesn't get any more obscure then this. 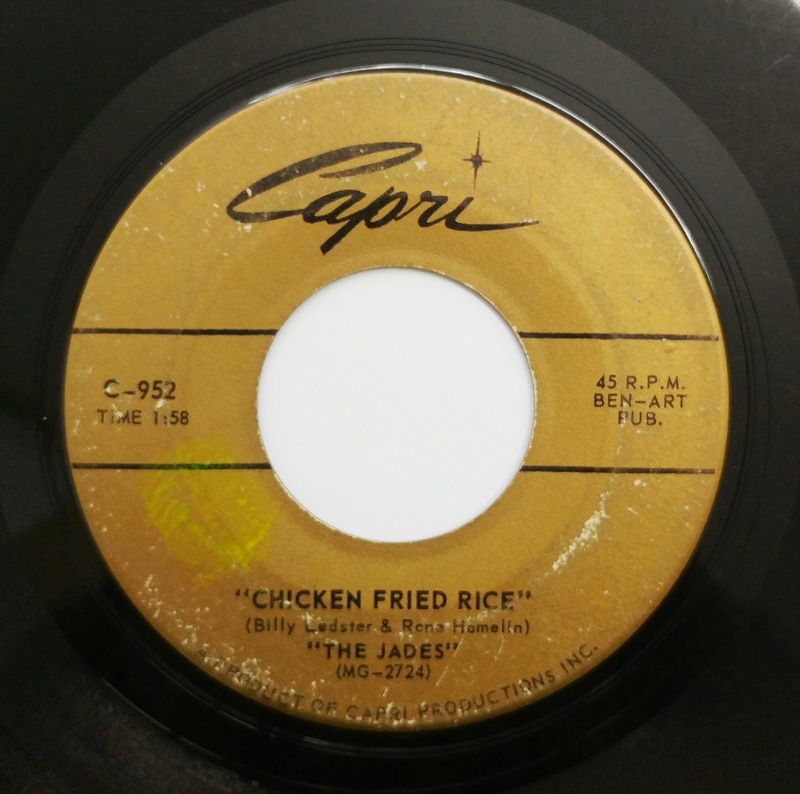 The Jades are said to have recorded this track as a tribute to the chicken fried rice served at the Radio Grill, the Chinese restaurant located in the basement of the Radio Hotel of Rouyn. The hotel was host to a myriad of Rock & Roll acts in its bar in the 60s. For a long time the restaurant was open 24 hours a day and the customers, as well as the performers, would simply move to the basement for a late night snack and that dish was the most popular by far. Looks like Quebec groups are fond of Chinese food. Mets Chinois (Chinese food in French) is your typical girl group Yé-Yé in all its innoncence and joyful exuberance. 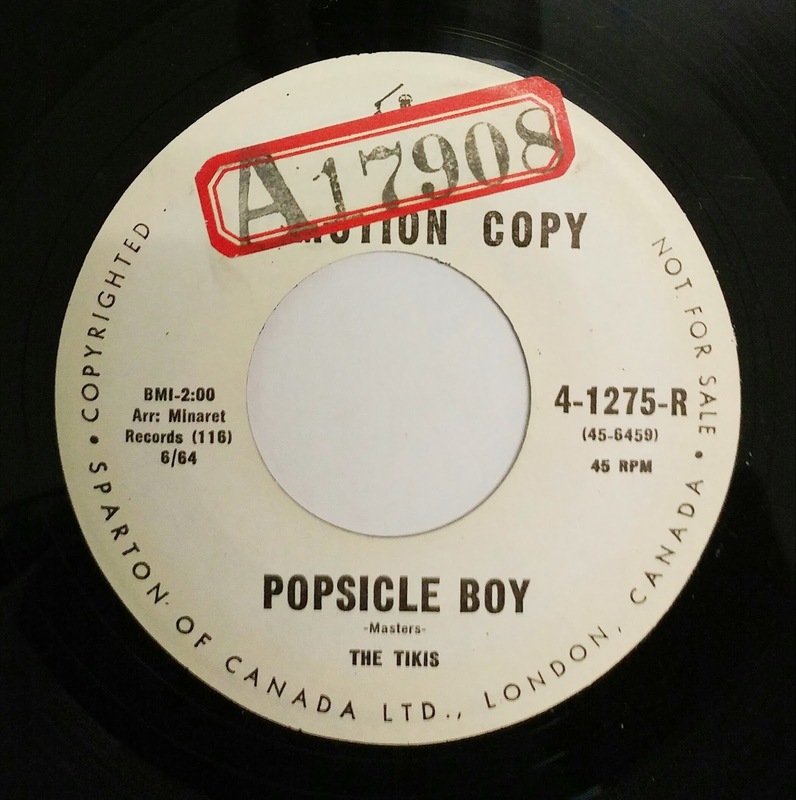 The group came from the provincial capital and released this rather rare 45 in 1966. Les Intriguantes are best known for a very solid cover of Hello Goodbye by The Beatles. 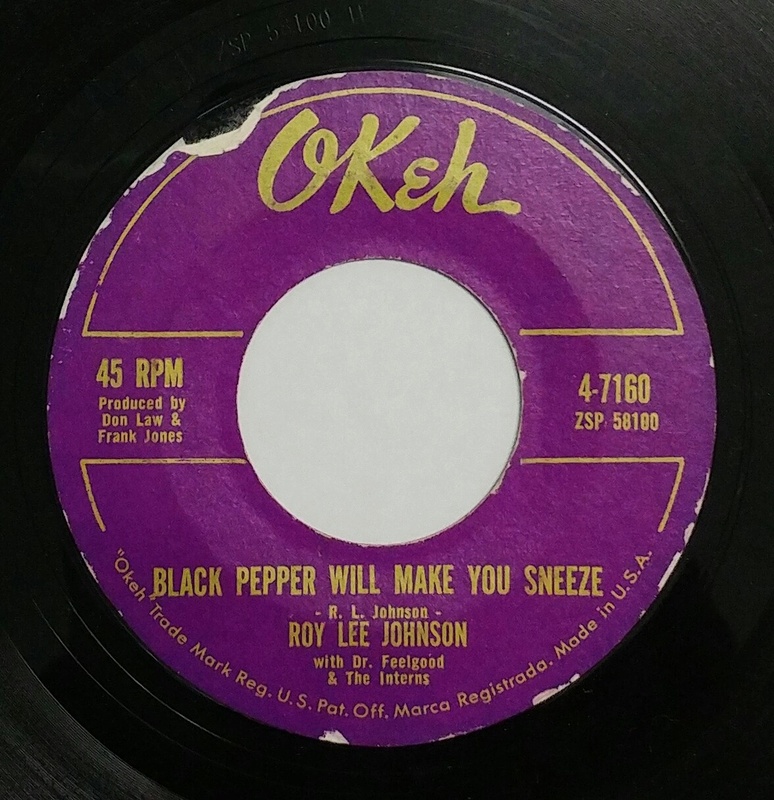 Citation produced many great Yé-Yé acts in the 60s and here's another example. If you ask me, this Nancy Sinatra cover easily rivals the original. In fact, if I had to choose between the two, I'll DJ this one every time. It's the perfect mood setter to start off an evening. The translated lyrics are different and frankly a lot more amusing and imaginative. Les Miladys actually sing about gingerbread houses, a town made of candy and macarons with a young lady that has caramel hair and a little boy offering nougats. I couldn't resist putting another local lady on the list. Here's some more French Canadian Yé-Yé and some of the best. 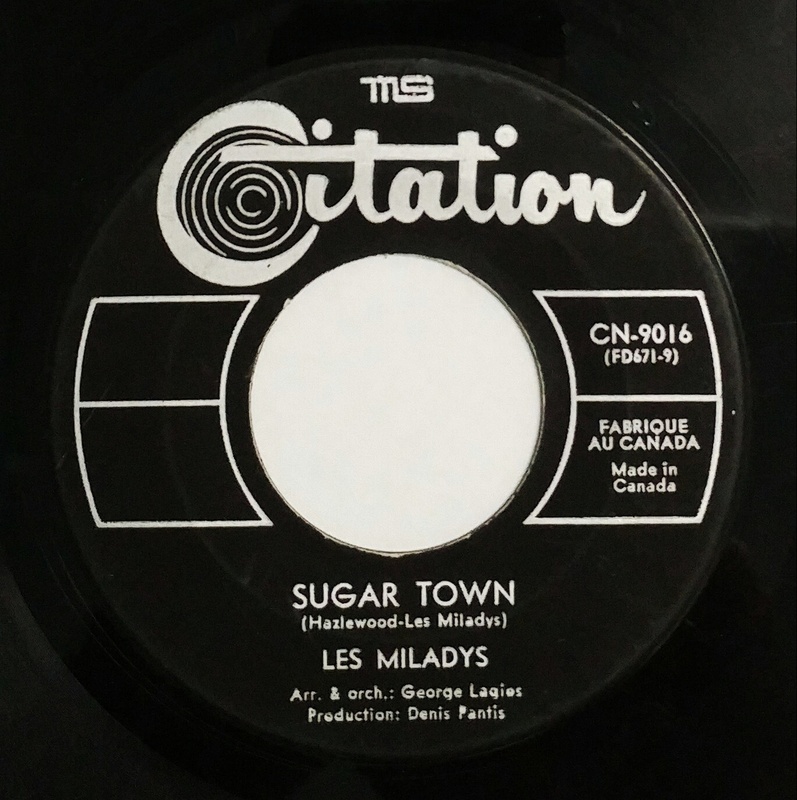 The Madagascar band Les Surfs released this song a year earlier but this slightly faster version is a lot more dance floor oriented and the better of the two. 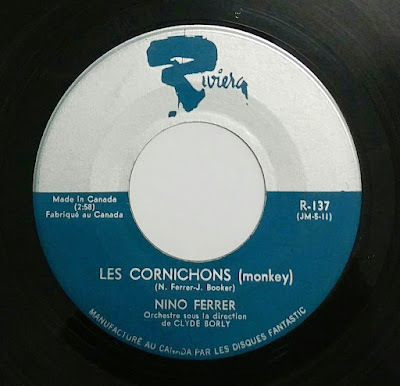 The latin mambo grooves paired with the smooth horns makes it irresistable. 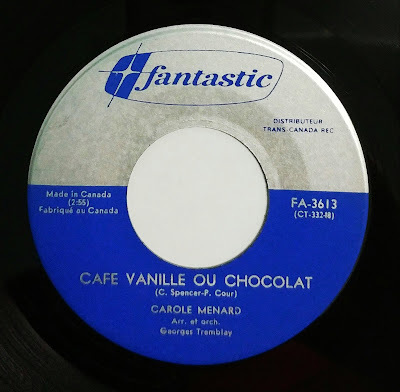 If you like Carole Ménard, you should definitely seek out Reste, also on Fantastic. It's the French girl-group cover of Lies by The Knickerbockers. It doesn't get any better then that. Finding a copy, that's the hard part. I don't think I need to translate the title for this one. 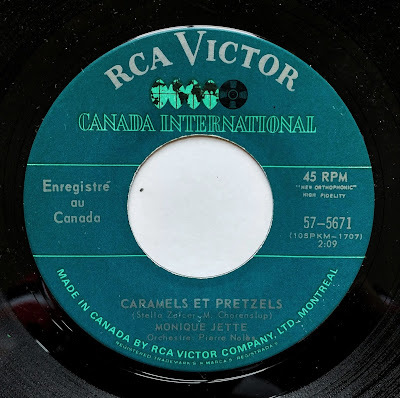 I love this 1965 Quebec Yé-Yé gem. The lyrics are a sign of the times and you couldn't imagine them finding their way in a contemporary song. She's singing about being a modern-day Cinderella wishing that she could eat caramels and pretzels instead cleaning the house and washing dishes. My favorite part is when admits that if she wasn't as patient as she is, she could put rat poison in your dish. This very rare 45 from the obscure French Canadian group Ali Baba et ses 4 Voleurs came out in 1966. It was their only single. 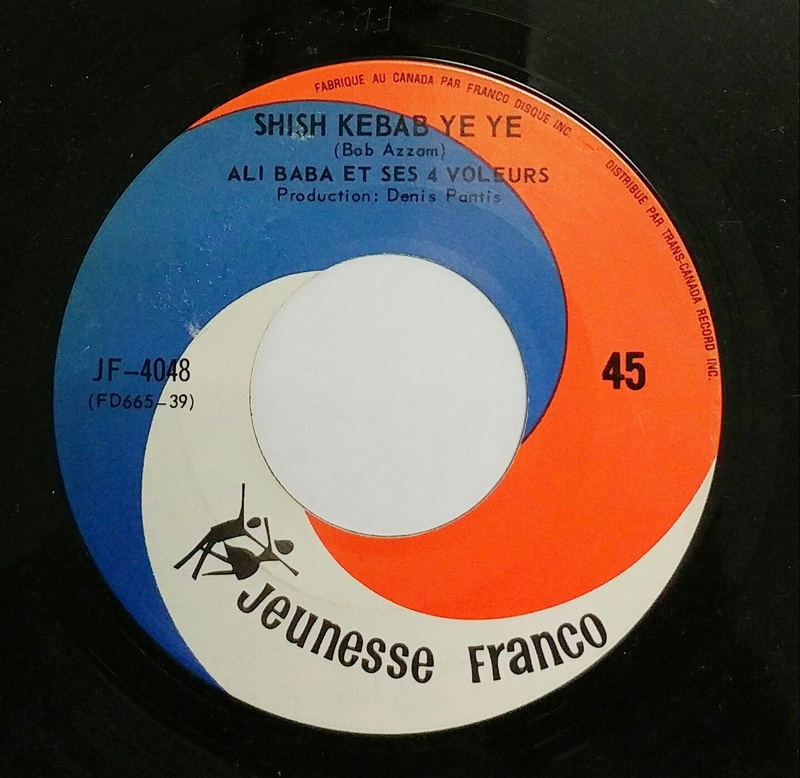 This catchy mix of Garage and Exotica praises the virtues of the middle eastern meal. Whatever hapenned to Mr Baba is unknown. Maybe he eventually died from a heart attack due to his unhealthy obessesion for the meat on a stick. And are his 4 thiefs in prison? Nobody knows. What is remarquable is that the song has found its way in a suitcase commercial in 2015. It features Bollywood star Varun Dhawan. Aside from the fact that it's a charming ad with a cool soundtrack, our protagonist is riding on the back of an orange Vespa P200. This one really needs no introduction. If you don't collect the French stuff, this will be the gateway to a lifelong addiction. 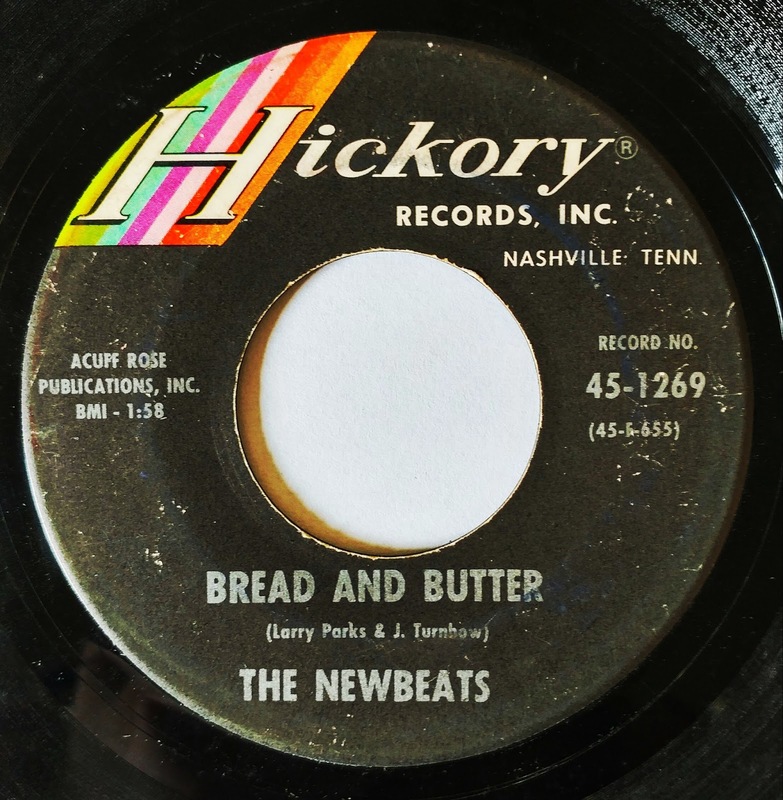 Nino's first big hit is heavilly inspired by a track called Big Nick. You can call it inspiration if you want but it's very similar to the 1961 instrumental by James Booker. You can also draw many comparasions with Soul Bossa Nova by Quincy Jones. 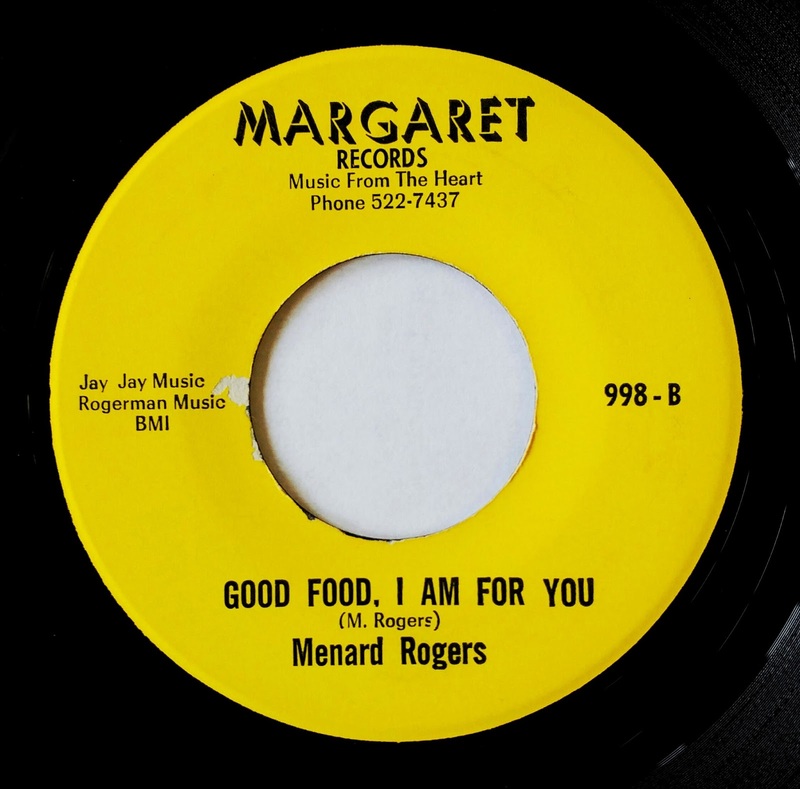 This track is not entirely about food but it does start with the singer talking about fixing himself a snack. I'm not an expert on switchin' so it took me a while to understand what it was. From my highly deductive skills, I concluded that switchin' is simply a form of dancing. Mystery solved. 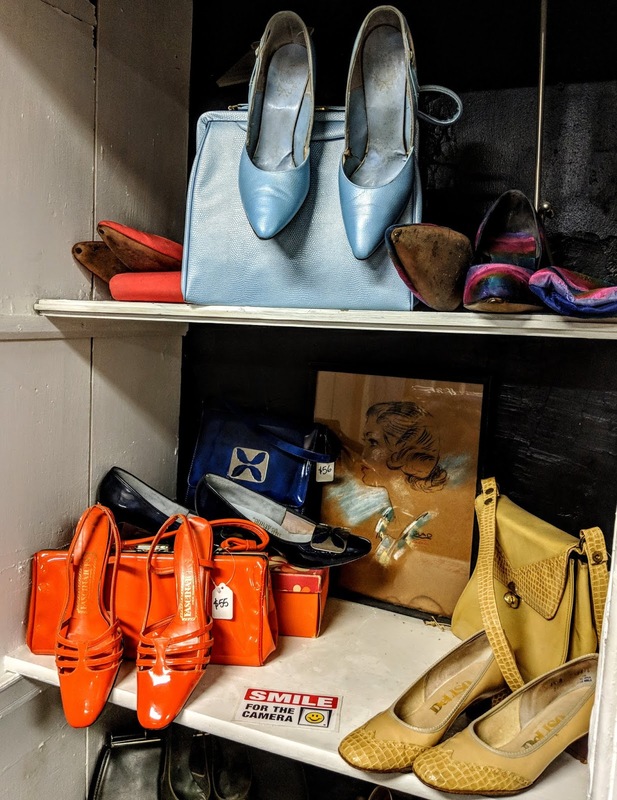 Now even if mama don't allow any switchin' in the kitchen, as the song suggest, you'll have a hard time keeping those feet from moving. I dare you to stay still during that wild sax solo. 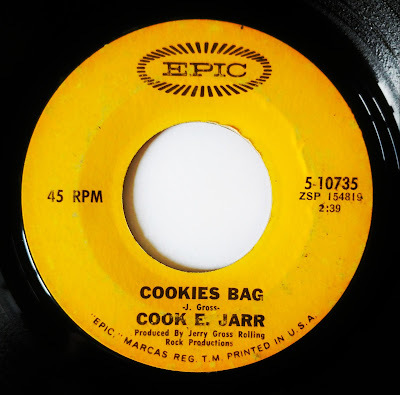 The amazing thing about Cook E Jarr is that up until recently, this old school lounge singer was still performing in Las Vegas on a regular basis. 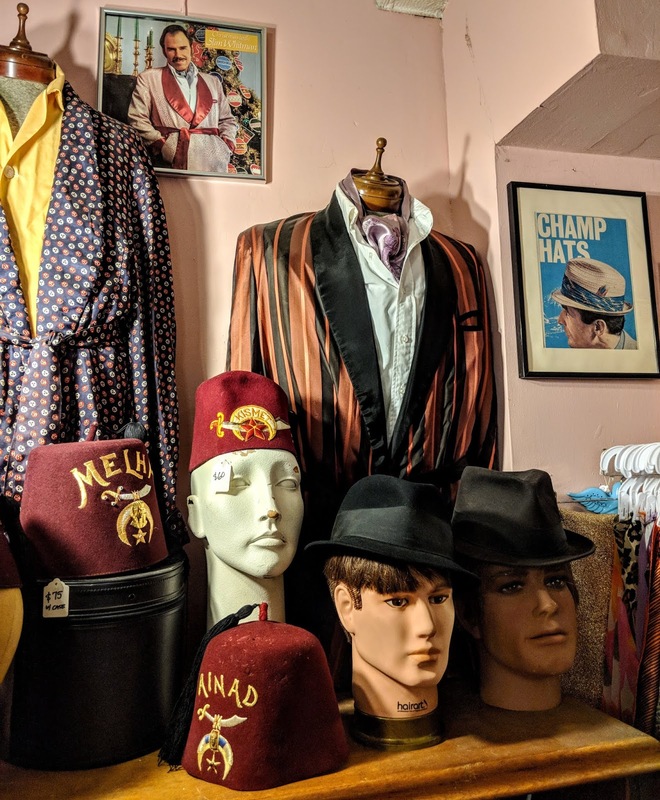 He's considered to be Las Vegas kitch at its best and well loved by legions of fans. Fake tan, large gold chains stuck in his chest hair, jet black mop top, he has it all! His career seems to be based mostly on performing covers. That's a shame because this is good! This track is nowhere to be found on the net except for the Parka Avenue Podcast. So if you want to hear it, click here. This record was given to me by my good pal DJ Alright from Cleveland. We've been sending eachother packets of records back and forth and I never know what I'm going to get. All I know is that we have very similar taste in music and I'm never disapointed. The condition might not be the best but it doesn't make this track any less catchy. It has a call-and-reponse structure which makes it the perfect party starter. When my pal and Addicted to the Needle co-host, Ben, found me this rare opus, he was pretty psyched to sell it to me. The reasons are pretty obvious. My name is already on it and I'll be honest, I'm not a vegetarian. This song is more of an ode to the famous Philly Cheesesteak from Pat's King of Steaks in South Philadelphia and has nothing to do with my love for a juicy rib eye. Open since 1930, Pat and his brother Harry are credited for coming up with the popular sandwich. 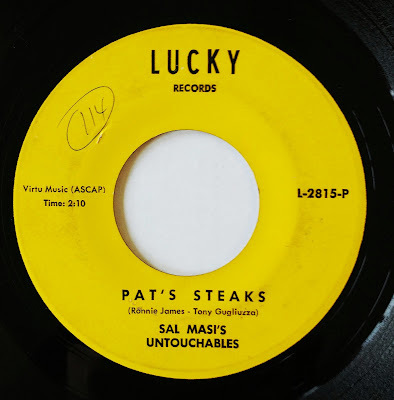 I've actually eaten at Pat's on many occasions when my parents had an appartment a 15 to 20 minute walk from the joint. If you ever visit Pat's, you'll want to order the real deal. That would be a "whiz with" and some fries. For you unitiated out there, that's a cheesesteak sandwich with onions and Cheese Whiz. Trust me, it's gooood! You'll hear a local order it on this Tittyshaker / Mad Mike type of a track. It's as quirky as standing in line for your order. 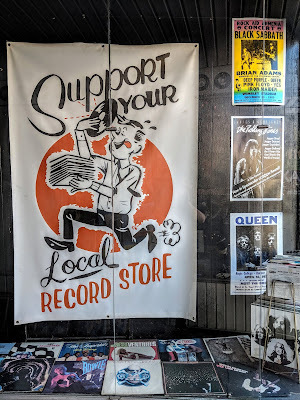 Read all about my record digging adventures in Philly here and you'll see a photo of Pat's in the post. Don't bother going to Gino's accross the street, their long time competitor. You want to stick with the original. Although I did have a sureal conversation sitting at a table outside of Gino's with an old-school boxer from the neighborhood. He was telling me about his exploits in his thick Philly accent. I didn't catch half of the things he was babbling about but by the looks of his massive hands with a bunch of gold rings on about every finger, I wasn't about doubt him. This no-holds-barred 1965 dancer is the perfect party starter. Part of the dance craze phenomenon of the 60s, this one is meant, as the song suggests, to make you "shake all around". You won't find any profound lyrics here. And it's not necessary. Instead, it has some pounding drums and a great guitar solo to make you go wild on the dance floor. The only song I ever heard that starts with a sneeze. As a DJ, I usually skip that part. And I don't recommend shaking some pepper in your eye like they propose in the song. Aside from that, it's a great early 60s RnB and it rarely leaves my DJ box. Here's some good, solid Mod RnB to go with that good food Menard is talking about. This track is as straight forward as the title suggests. The sax solo is just as tasty as a full plate of spicy jambalaya. 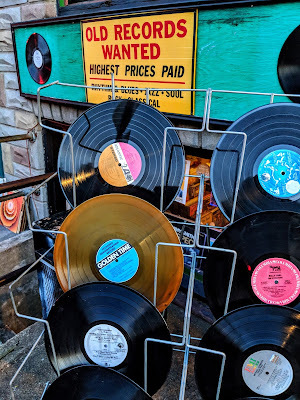 This 45 is worth seeking out. 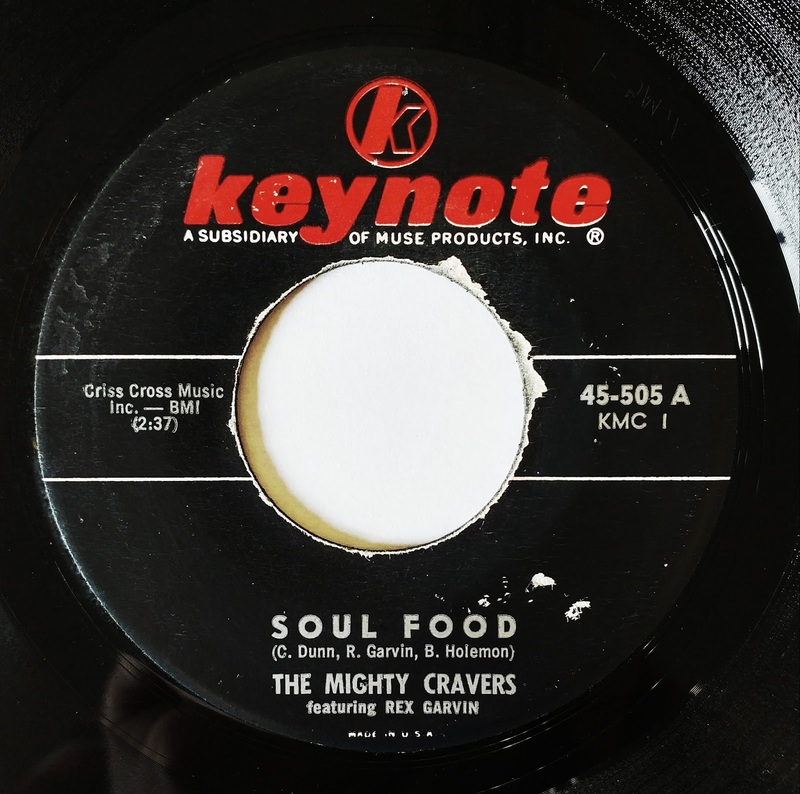 This platter serves up 2 minutes and 33 seconds of delicious Philly funky Soul. The intro is reminiscent of Harlem Shuffle and then it goes into a series of "hey" and "alright" before the singer briefly praises his favorite meal. 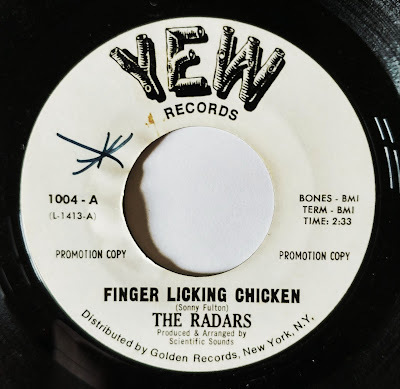 This record seems to be the only release for The Radars. 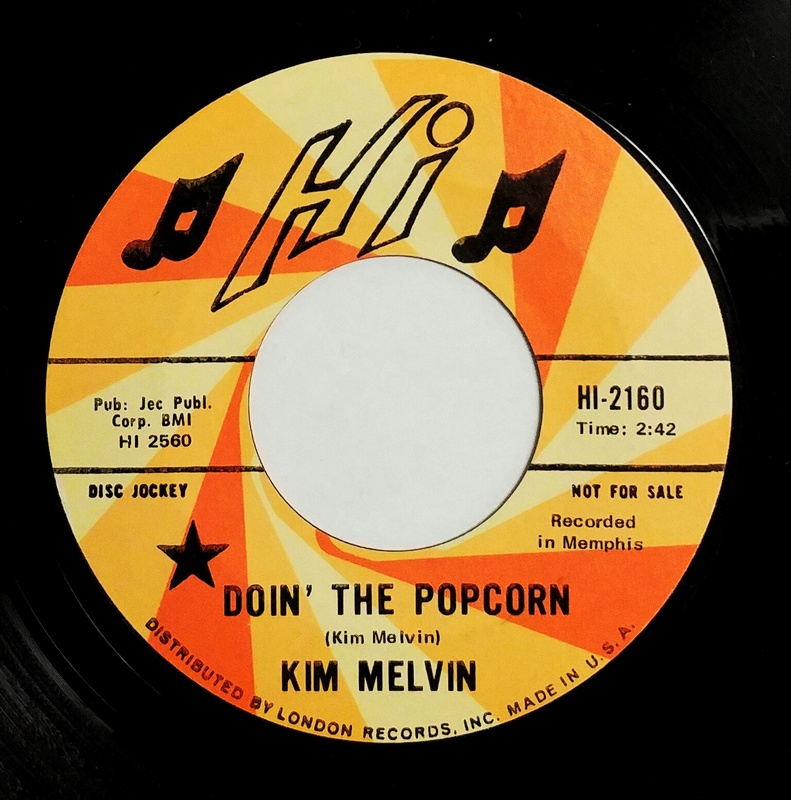 This mid-tempo RnB b-side came out in 1961 and was originally released on the Big Top record label. It's quite a contrast from the classic Doo Wop a-side What's Your Name. I'm not sure if I agree with Don & Juan when they sing: "Chicken heads, chicken feet, chicken necks is all I eat". I'll stick with the breast, tighs and drumsticks if you don't mind. 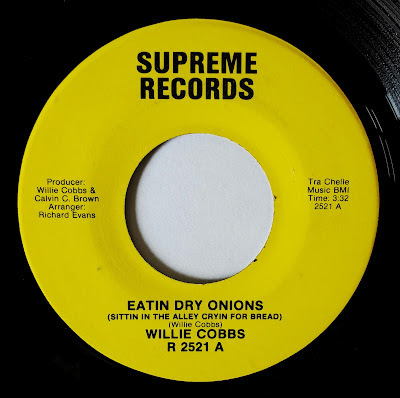 We won't be reinventing the wheel here but bluesman Willie Cobbs serves some sound classic RnB tailor-made for the dance floor. With a little harmonica as an intro, it falls in a tried-and-tested formula that will please the masses. This one reminds me of a favorite of mine, W-A-S-T-E-D by Bobby King. 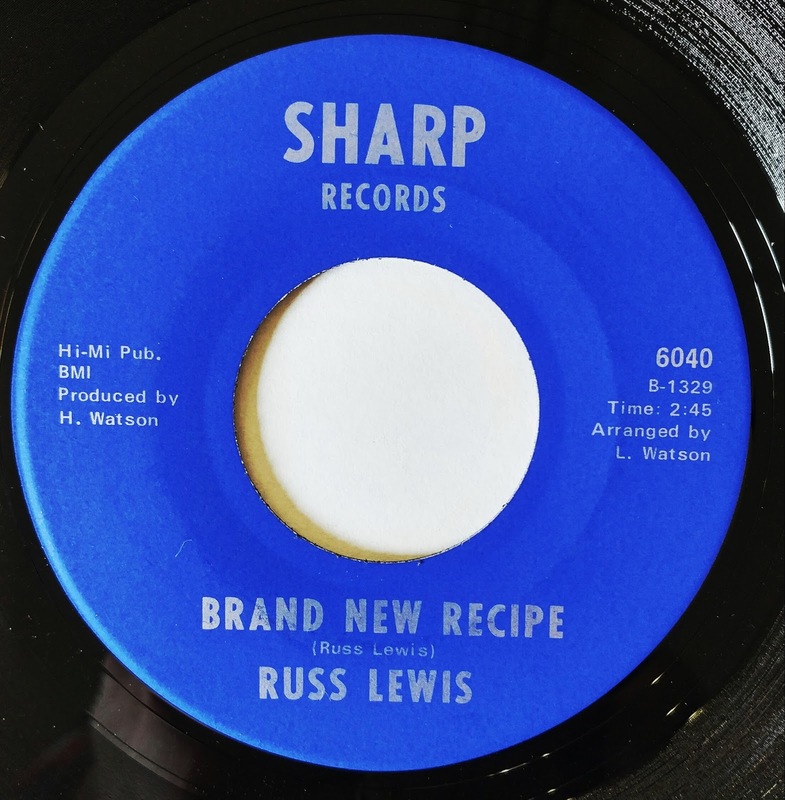 The new recipe, in this case, is a metaphor for Russ' love life. That song structure or "recipe", if you will, is nothing new. You see it in a few songs on this very list. That doesn't diminish it in the least. 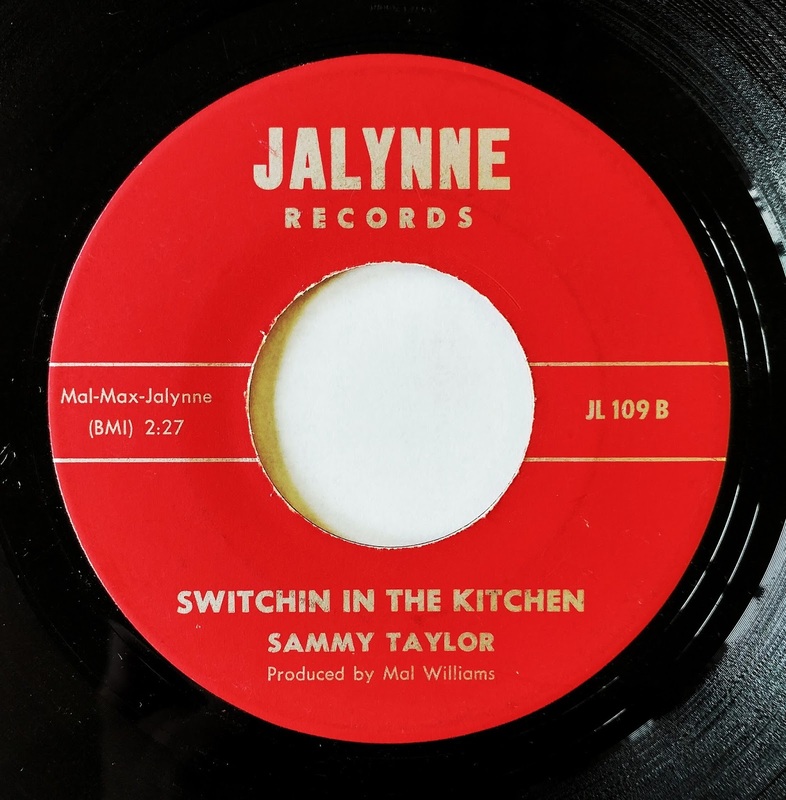 It has some hand clapping, groovy bass, punchy horns, funky drumming and strong Hammond. All the ingredients are there for being the perfect DJ secret weapon. 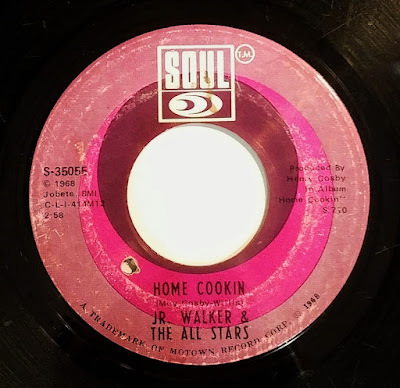 You'll instantly recognized the musical stylings of Junior Walker's saxophone on this track but it's James Jameson's killer bassline that steals the show. With all of Motown's signature immaculate production, this makes it a timeless piece of early funk. Probably my favorite record of the whole list. 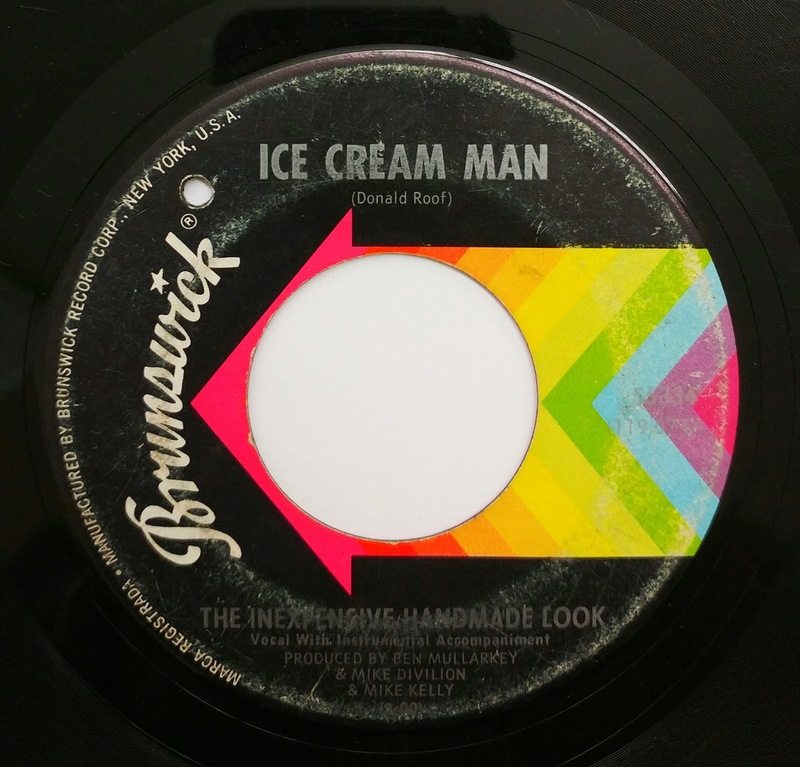 Discogs describes this track as Garage Rock. I have no idea why. This is some quirky funky Soul if I ever heard some. It's punctuated by a series of pauses all throughout the song where the singer starts riffing. It'll make you move. It'll make you clap your hands. Make sure to pay close attention to the part when the guitarist imitates a rooster with his instrument. It's pretty whacky. 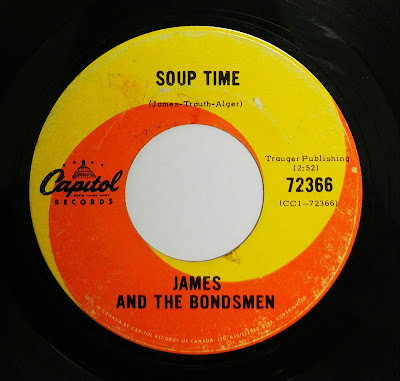 James and the Bondsmen are a mysterious bunch. I guess that's a good thing if you're in the bail bonds business. But if you're a Garage group from Canada looking for fame and fortune, then you have missed your mark. The only info I managed to find is that they hailed from Edmonton, Alberta and they came out with only 3 singles. 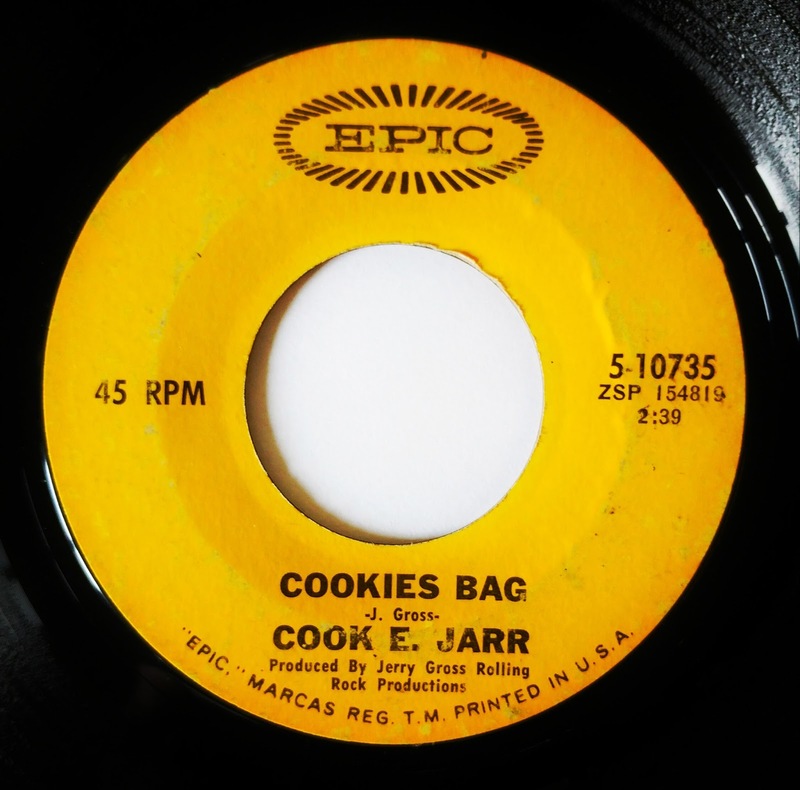 If you're looking to teach your kids the alphabet using a great late 60s Garage track, this is the one. But the alphabet soup is not the only soup featured here. Mix in some harmonica and horns and you have one solid macedoine soup. If you're curious and you want to hear it, the Parka Avenue Podcast will be the only place you can. It's nowhere to be found on the Net. That's how rare it is! I had to throw in a hit in the lot. This one certainly qualifies because it claimed the #2 spot on the Billboard charts in September 1964. This blue-eyed Soul screamer is fun and catchy and you can understand why it attained the gold record status selling more than a million copies. 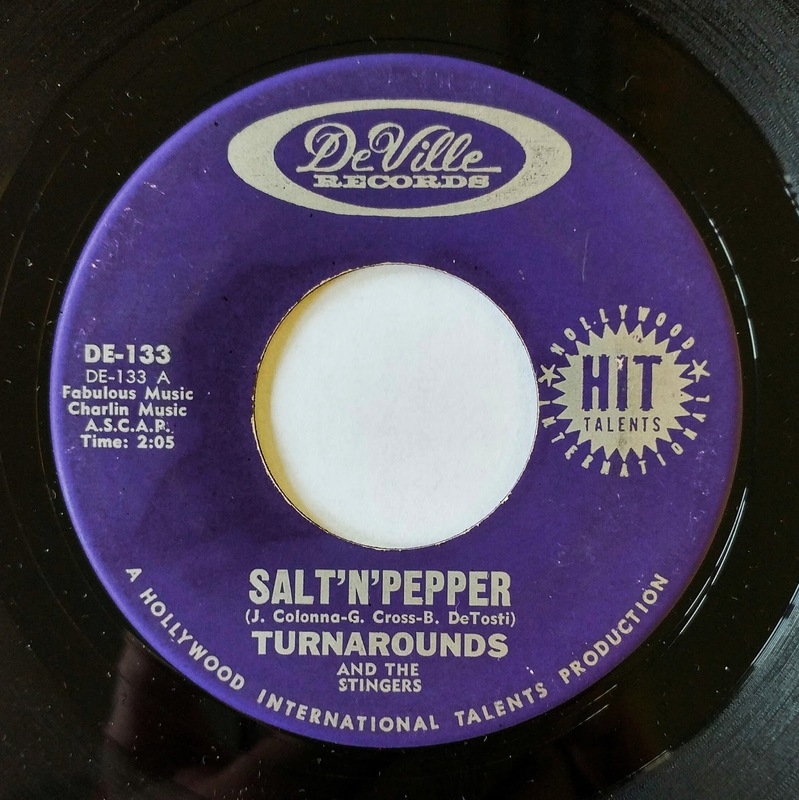 The Vibrations intially recorded this 1961 hit on the Arvee record label under The Marathons moniker. 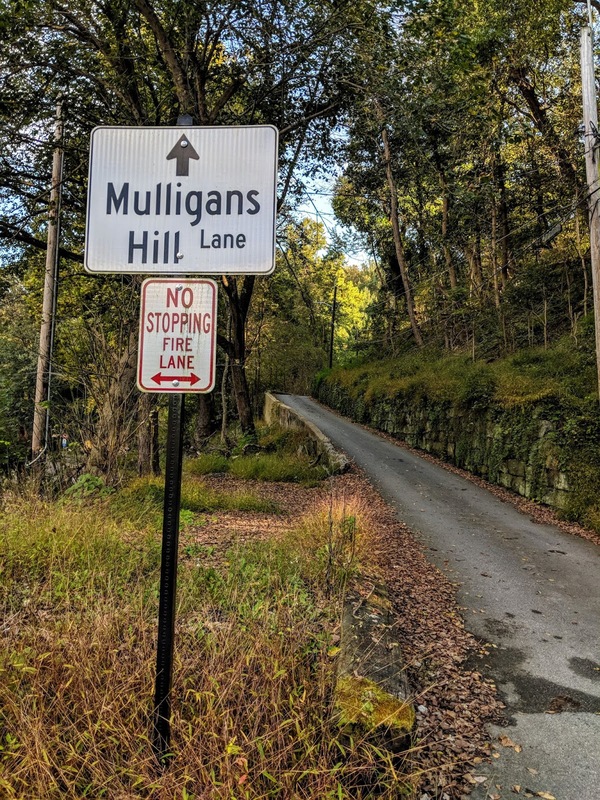 Since they were under contract with Chess, they adopted a new name. 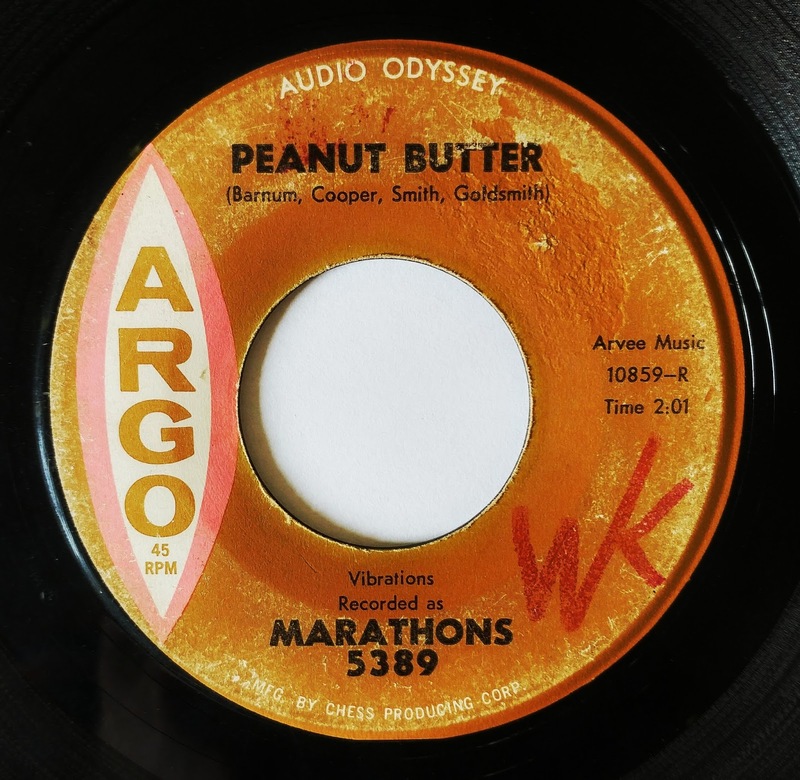 Argo, a subsidiary of Chess, sucessfully sued Arvee and soon re-recorded the track. If you ask me, the two "versions" sound the same. 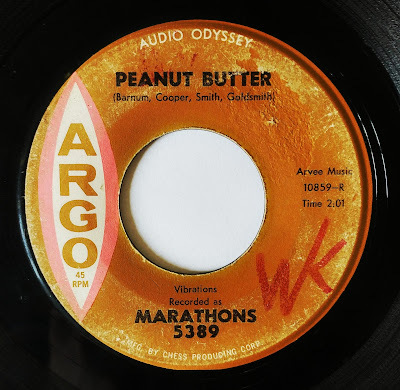 Peanut Butter was originally intented to be recorded by The Olympics but they were on a tour of the US and were unavailable to cut the record. There are so many popcorn related records out there, it was hard to pick only one. This up-tempo number has to be my favorite. 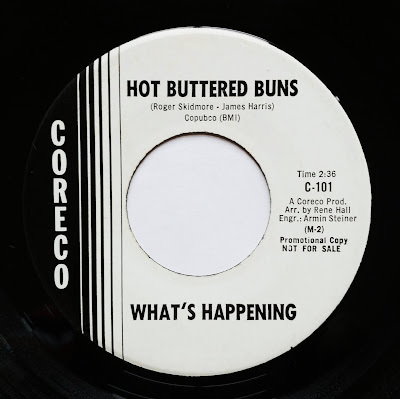 James Brown, the godfather of Soul himself, had five singles with the word popcorn in the title! Maybe I sould come out with a popcorn list instead. 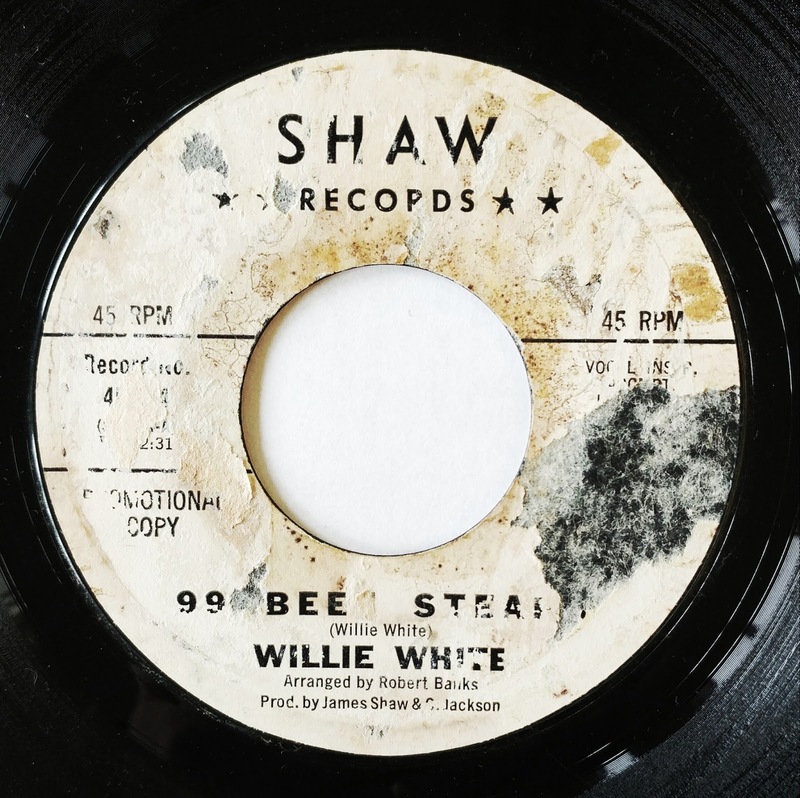 The popular dance hit the scene around 1969 and many artists tried to cash in on the trend. 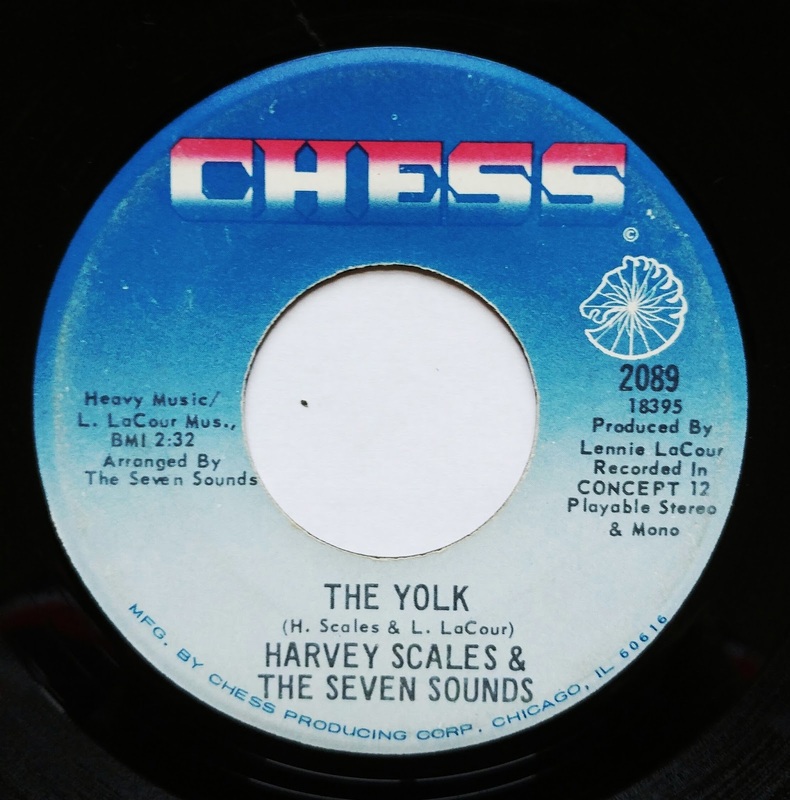 Harvey Scales also wanted to cash in on the wave of dance crazes sweeping the continent when he cut this record. How do you dance The Yolk? 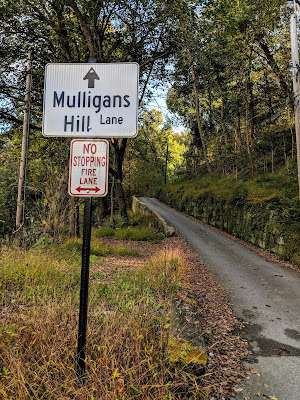 I have no friggin' idea. Apparently. at one point, you need to crack an egg. That's all I can tell you. There's a wonderful drum break towards the end that will let you let loose. 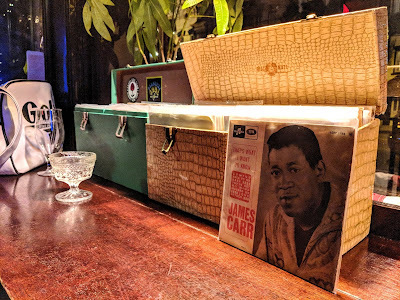 If you're a James Brown fan, you'll really dig this one. 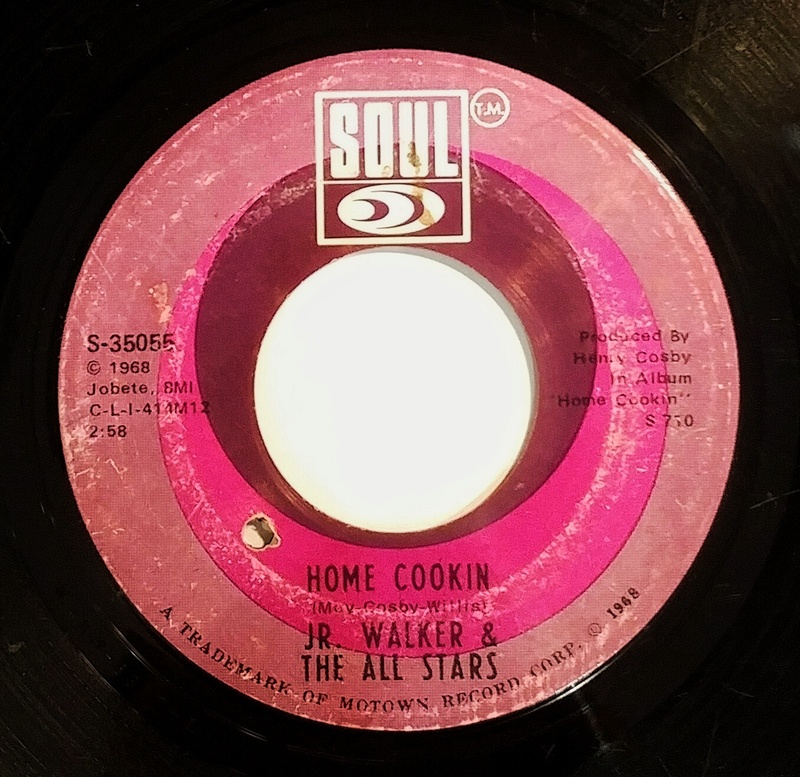 This is one of the most "Northern Soul" sounding track of the list with its elaborate production, imposing horns and grandiose string arrangements. On the other hand, the lyrics are pretty straighforward. 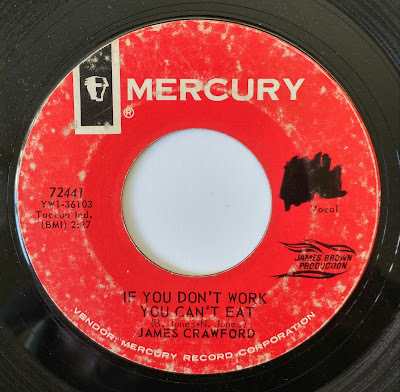 Take it as a sage life lesson: if you don't work, you can't eat. a big spin in every Mod circle accross generations. Infectious, it drives you to dance and smile. 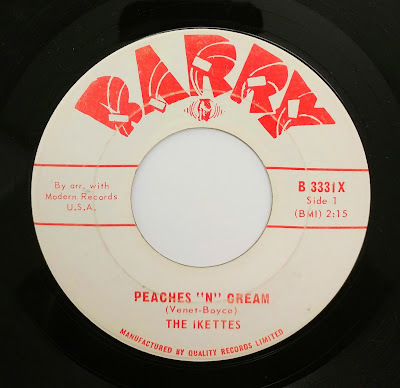 The Ikettes started as Art Lassiter's backup singers, The Artettes, before Ike Turner had them join Tina Turner and his Revue. There were so many changes to the trio that it's hard to keep up. They eventually recorded on their own. Peaches "N" Cream became a hit, reaching the #28 spot on the Billboard charts in 1965. 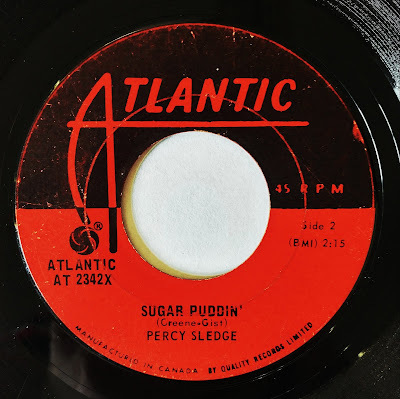 In the US, the single was released on Modern and in Canada, if you're lucky, you can find it on the much rarer Barry label. 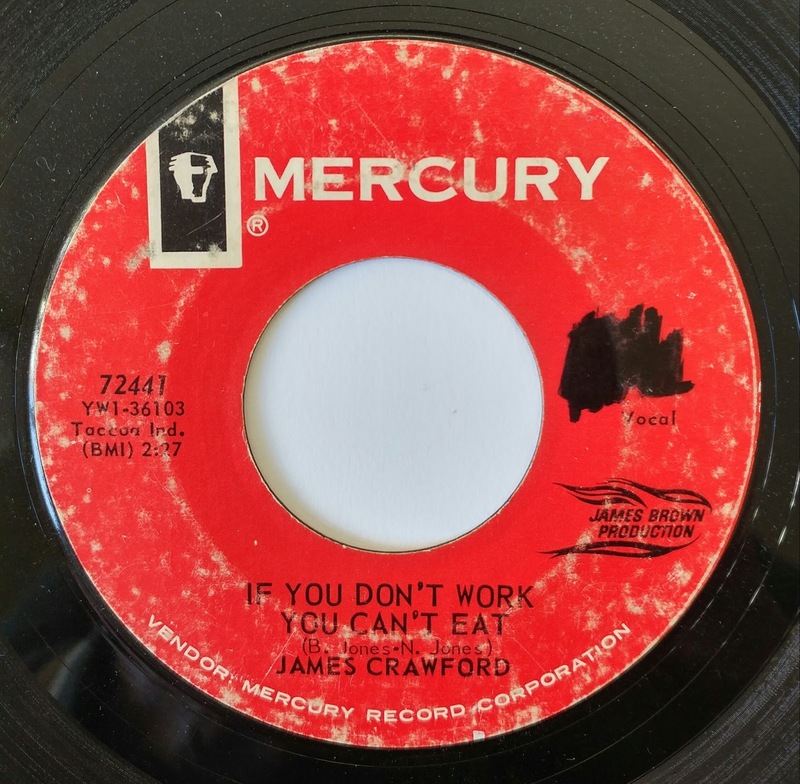 Just like the James Crawford single, this one falls squarely in the Northern Soul camp. The use of the xylophone should be a dead giveway. Jay and the Techniques were no strangers to great songs about sweet goodies when their hit single Apple, Peaches, Pumpkin Pie reached #6 on the Billboard Hot 100 Chart in 1967. 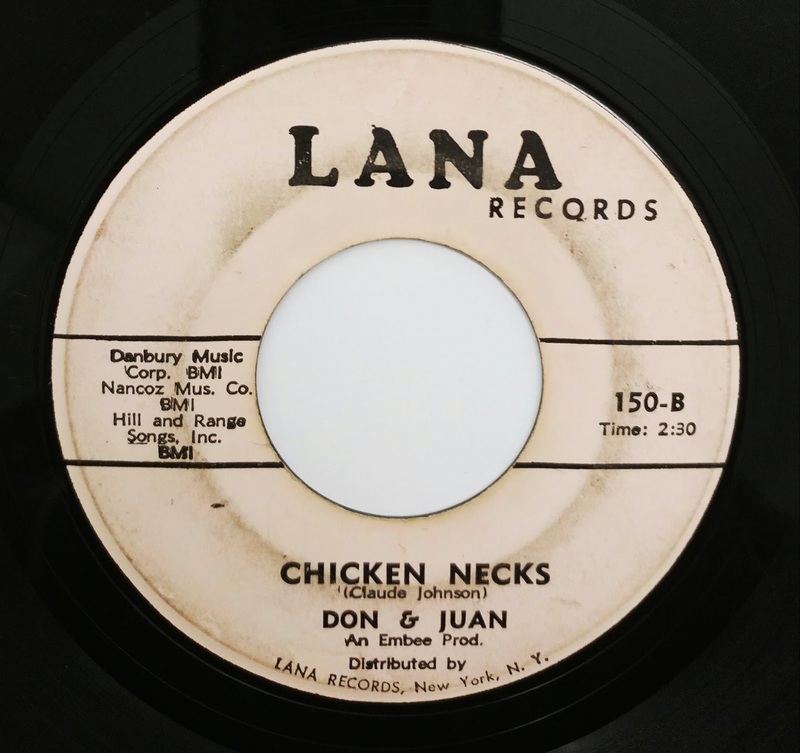 This Garage band from Dothan, Albama has a penchant for some quirky and humorous Tittyshaker tracks. My favorite is by far Big Feet that came out in 1963 on Minaret. This one is just as amusing and was also released on the Nashville label. It doesn't look like many of them were pressed in Canada under Sparton. I couldn't find any information about the year of its released. 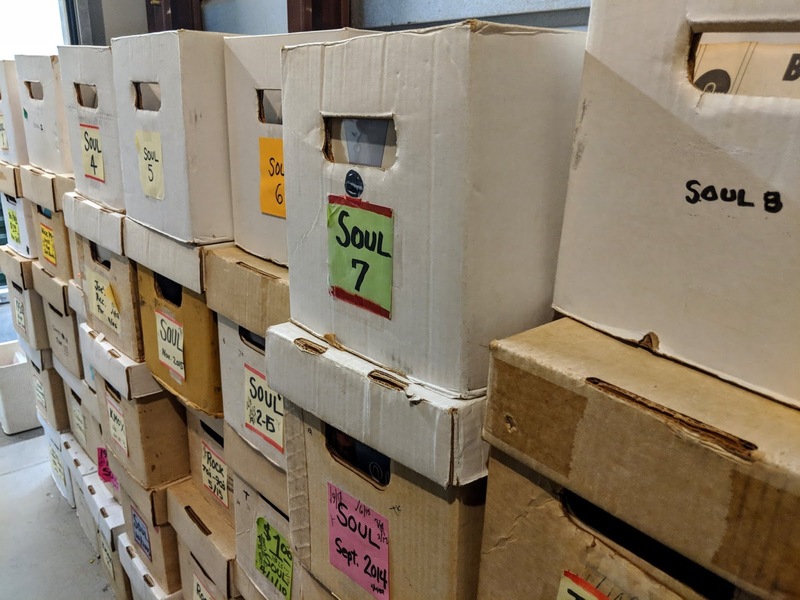 Please allow me to depart from the Soul and RnB sounds of this list to finish off with some solid Garage Psych. You won't regret it. Take my word for it. You can't go wrong when you start a track with a catchy fuzz guitar hook. We're moving from a popsicle boy to an ice cream man. This is serious. 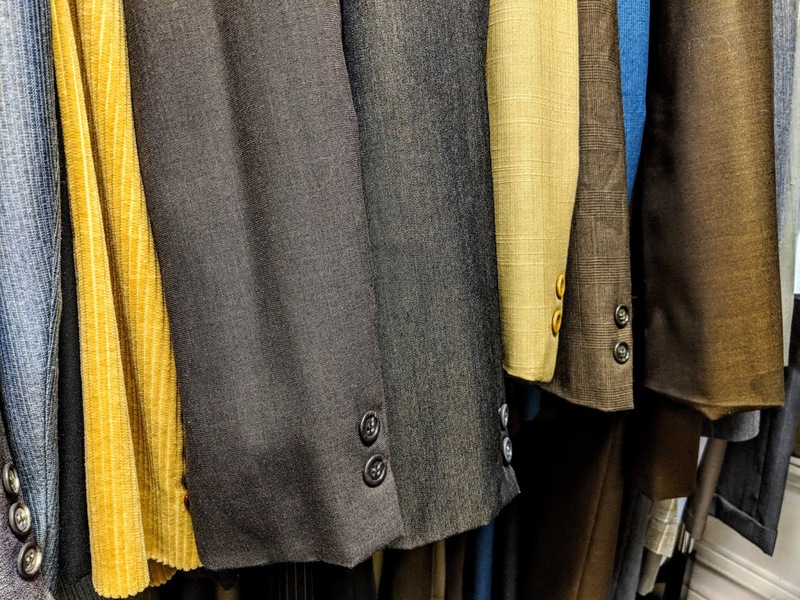 The Inexpensive Handmade Look was formed from former members of the North Carolina band, The Count IV. 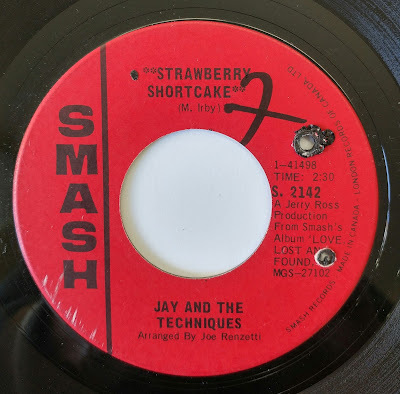 This 1967 release seems to have been their only single. The trippy flip, What Good Is Up, is also worth a listen. There are a myriad of other great food related 45s out there. Do you think there's one missing from my collection? Let us know in the comment section below.